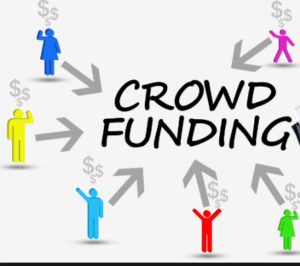 Crowdsource funding is a way for companies to raise money from the public to finance their business. Generally, the way it works is that you post your business idea and investment offer to an approved crowdfunding website. If people are interested in your idea they can accept your offer and invest money to help you raise the funds you need to get your project up and running. Until recently it was only the larger end of town that could access this funding option but thanks to new laws passed in September 2018 that have taken effect from October, smaller private companies can now access this type of funding. Private companies with gross assets of up to $25 million can now advertise on ASIC-licenced crowdfunding portals to advertise their business campaign to attract investors. Each company can raise up to $5 million per year via this source of funding and individual investors are capped at investing $10,000 per company. It provides an alternative way to raise capital for your business, this is particularly relevant for businesses in their early stages that can have difficulty accessing traditional lending opportunities. Crowdsource funding was gaining traction as one of the fastest growing methods of alternative finance prior to the expansion of the laws to smaller companies. With these changes and the increased compliance requirements faced by those going down the traditional lending path, it is likely that growth in this area will continue. It is important to point out that this type of funding is not without its risks, particularly for the investor. In its nature, crowdfunding is premised more on the story and community benefit than it is on the financial metrics. Further, given that many businesses obtaining this type of funding are in their early stages, liquidity from an investor’s perspective, either by way of a return or the ability to trade the shares, maybe limited. There are many factors that a business should consider before opting for this type of funding. Whilst understanding the additional reporting and compliance requirements as well as eligibility to access crowdsource funding is critical, so is making sure that this type of funding suits the type requiring the funding. From an investor’s perspective, whilst this type of funding provides a great way to diversify and invest in a variety of opportunities, investments of this nature are generally seen as speculative and carry with them higher risks. For this reason it is important that investors obtain the right advice from their licenced financial advisors where the need arises. For more information or should you wish to explore crowdsource funding as an option for your company, please make contact with Davidsons on 03 5221 6399 or speak to your client relationship manager.